As the EU summit continues today (29 June) without UK Prime Minister David Cameron, the Visegrad group, which includes the Czech Republic, Hungary, Poland and Slovakia, will call for a dramatic change in the functioning of the EU and its institutions. The lead item on the V4’s agenda will be how the remaining 27 members of the bloc can increase unity after the shock of the British vote. 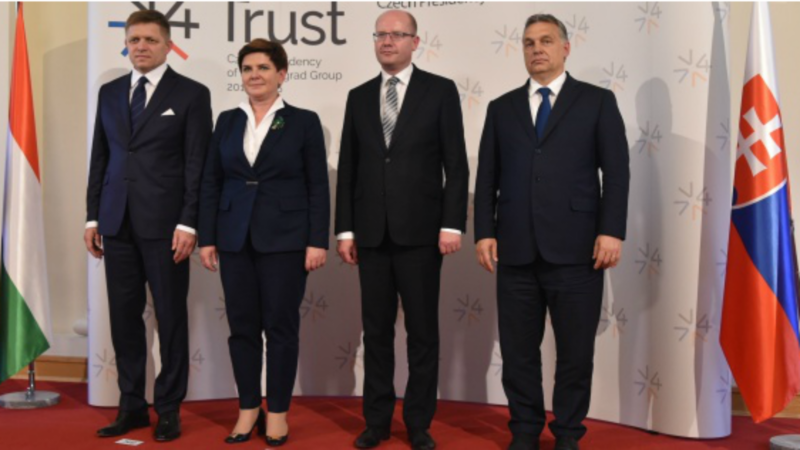 Meeting ahead of the EU-27 summit, the four Visegrad leaders adopted a joint statement, calling for the creation of “a genuine Union of trust”. “The genuine concerns of our citizens need to be better reflected. National parliaments have to be heard. The institutions of the European Union need to stick to their missions and mandates. Trust also needs to be fostered among member states, starting with overcoming the artificial and unnecessary dividing lines we have seen emerging in past few months,” the four Prime Ministers state. 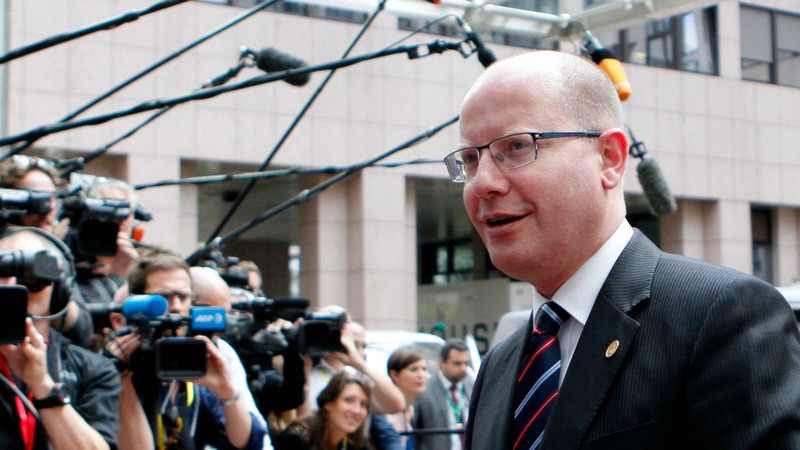 But Czech PM Bohuslav Sobotka, whose country holds the rotating presidency of the Visegrad Four, made it clear that the group will not push for the resignation of Commission President Jean-Claude Juncker. The foreign ministers of the Czech Republic and of Poland had demanded Juncker’s resignation, claiming that the EU institutions should take “responsibility” for last week’s vote by British citizens to leave the EU. 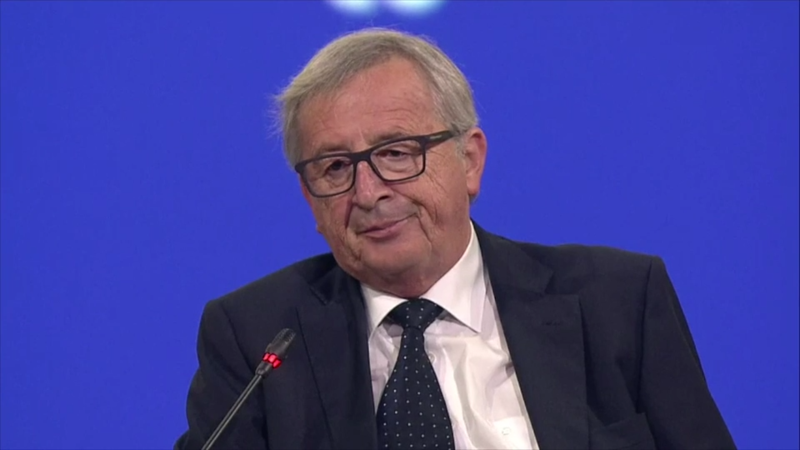 Pressure is building on Commission President Jean-Claude Juncker to resign following the UK referendum, but also over the need to “change the habits” of his way to run the EU executive over the last two years. It would be unfortunate to start any personal battles now, Sobotka said, as quoted by the Prague Daily Monitor. “I would be glad if the European Commission helped seek an EU compromise more intensively and tried to solve possible discrepancies between the EU member states more,” Sobotka said. “I would also like the Commission to show more respect for the European Council’s decisions,” he added. Sobotka pointed to the situation during the refugee crisis, where individual EU member states agreed on something, but the EU executive kept promoting its binding refugee quotas. However, the replacement of one man will not solve the situation in the EU, Sobotka added, referring to Juncker’s own future as Commission President. The V4 group has a clear preference for the Council, under the leadership of Donald Tusk, to lead the Brexit negotiations. Conversely, the mainstream mood is that the Commission, led by Juncker, should be in the driver’s seat. “We need to change the functioning of Europe as such and reduce red tape. I would be pleased if we sent a clear signal in early autumn at the latest about how we would like to change Europe positively,” Sobotka pointed out. Regarding Brexit, V4 will insist that the interests of their nationals and companies working in the UK be preserved. “European citizens and European companies cannot end up worse off than British citizens and British companies. The arrangement between the EU and the United Kingdom must be based on reciprocity and fairness,” the four leaders state. Before the referendum, Cameron negotiated a settlement with the EU that would enable London to apply an “emergency brake” mechanism for seven years, which would temporarily restrict the payment of selected welfare benefits to immigrants from other EU countries. Some 800,000 Poles and hundreds of thousands of Czech, Slovaks and Hungarians have migrated to Britain seeking jobs and a better life since the EU’s eastward expansion in 2004. Sobotka said he did not think the settlement had influenced the referendum result. “Unfortunately, resistance to workers from Eastern Europe became a substantial part of the debate before the referendum. I suppose this tells something about the state of British society,” the Czech premier commented. Recent xenophobic attacks in the UK are raising concern among Eastern European countries whose nationals are usually targeted by taunts, threats or worse. Police are investigating vandalism at a Polish cultural center in London, and incidents in Cambridgeshire, in which cards were given to Polish residents calling them “vermin” and ordering them to leave the country. Before the referendum, the V4 said they needed the UK to stay in the bloc, and that it would be easier for the EU to tackle its “many difficult challenges” with Britain as a member. The four eastern EU states from the so-called Visegrad Group yesterday (8 June) said they needed Britain to stay in the bloc, two weeks before the landmark UK referendum on membership. The time it would take to get the UK out would be better spent in reforming the EU in a way which would address the issues of transparency and efficiency. EU treaties are designed so the EU cannot be ‘reformed’ & as the unelected president has made clear, the treaties will not be changed for anyone. The only solution is to leave, the only question is ‘who next’ ? The V4 have been given a big chance to lessen the poverty at home by exporting all their workers to the EU esp the UK. In return they have offered very little and remain the same uncooperative people they have always been. Perhaps they should show some support regarding the current crises instead of demanding the leader’s head when things don’t go their way. Where were the heads of all ostriches (EU politicians, high level bureaucrats, and etc.) hidden when European Commission President J-C. Juncker has publicly stated: the Europeans had lost faith in the EU. What was their reaction and actions after that? Today, Mr Junker is the only politician, who can point the finger at almost every player and ask: darling, where YOU have been all the time? Once more, EURACTIV headlines are misleading. Going through the article and through the actual Visegrad declaration of June 28, nothing says or even suggests that “Visegrad calls for a COMPLETE CHANGE OF EU 27”. If anyone hangs around this site long enough you quickly spot the poisonous Brussels Propaganda. Were the infamous and quite disgraceful Laminate cards produced by Brexiteers or Remainers in an act of disinformation?